Welcome to 2019! I’m excited about what this year is inviting us to discover! I’d like to share a bit more about my Intuitive Planning process and Word for the year! There’s always in exciting sense of possibility at the beginning of a new year. I think a lot of it has to do with our collective conscience. So many people with big ideas, plans, resolutions and goals to do new things, accomplish BIG dreams and it all seems do-able with so many days ahead, Right? I also know there can be a bit of a mind trap here because we often bite off more than we can chew. I’ve learned to dial it back over the years and break my goals down further before I decide WHEN I think they need to happen. My planning process now allows me to meander a bit more along the way, leaving room for surprises, changes in direction, spontaneity and failures. None of us want to fail but if we are going to fail, do it quickly my friend and move forward. What good is a destination without the Journey? We never begin something with the INTENTION of failure, but if we don’t plan for our journey, then failure might be inevitable…or maybe we will discover something entirely different on the path and that is certainly a different way of living than many of us are taught. We are taught that we need to control, set goals, budgets, plan our days, years, months and before we know it our lifetime is spent in the GRIP of what we think we need to do to be happy! What if there was another way we could trust and let go just a little bit? For those of us who have a deep need to maintain control (raises hand:), color inside the lines and do the “Right Thing” it can be terrifying to begin to let go. Having a word of the year is a practice I started about 6 years ago and I alway discover that you can’t PLAN for what that word will teach you on the journey. Last year my word was Fearless and I learned a lot about what it really means to live fearlessly…I embarked on the year thinking it would lead me to grand adventurous gestures. That was not the case. I discovered that being fearless means getting out of my head, into my heart, trusting myself, trusting my body, trusting my Intuition! Which is exactly what I PLAN to do for 2019. I arrived at the word Intuition for this year because of my journey last year and my the discoveries along the way. ENOUGH about me…Do you choose a word for the year or have any resolutions? How do you Plan for the year? Do you start with a vision, an Intention or resolutions? I also use the process of creating a Vision Board and am offering a workshop to Envision Your Year on January 28th, click here to learn more and register! Do you break your planning down into bite size pieces by area of your life? Do you plan your year out on your calendar? I’d love to hear more about your planning process…leave a comment below and tell me more! How can you learn to see like an organizer? When an organizer a designer, space planner, realtor and others walk into a space they are trained to “see the possibilities”. By using this process yourself you can also begin to see your space with a fresh set of eyes. I co-presented on this topic at a local home and design show and along with a kitchen designer and another organizer, we shared how we have learned to cultivate the practice of seeing with a fresh set of eyes! It’s something that I hear over and over, “I just need a fresh set of eyes” and it’s something we can all cultivate! So often we put things where we put them and forget about them. Sometimes we literally forget where we put things, sometimes we put things in certain spots out of habit and sometimes we just glaze over and stop seeing what’s right in front of us. We get accustomed to seeing or rather, not seeing what surrounds us daily. Be willing to try something different, be open to other peoples suggestions & ideas. Seeing things with fresh eyes is a creative process, look for inspiring ideas (magazines, websites, experts). The skill of seeing things differently can be cultivated. Pausing and asking ourselves to take a fully conscious moment in our space to learn to cultivate the art of seeing can begin by asking ourselves a few questions. How do you feel when you walk into a space? What feelings are evoked when you walk into the space? Something pleasant, or stressful? How do you want the space to feel? What do you do in the space and how do you use it? What doesn’t need to be here? How would you use the space differently? Rethink how you use your space. Does a space feel uncomfortable or off somehow? Spend some time there and determine why you are unable or uncomfortable in the space. If you had a blank slate, how could you use the space differently? Sometimes it’s a simple matter of re-arranging the space, other times, replacing furniture with something more functional might be a simple solution. Now, close your eyes & Imagine the space transformed! Learning to see like an organizer might mean de-cluttering and imagining a home for everything that is used in the space, or maybe it means completely re-imagining how the spaces are used. Practice envisioning your space transformed into exactly what you need and imagine how it feels. Common pitfalls that can prevent us from achieving our newly envisioned organizing goals can include, lack of labels, lack of lighting, buying containers before the stuff has been purged and sorted and overfilling containers. Leave yourself a bit of extra space in each bin, overstuffed spaces are hard to maintain! Transform awkwardly defined spaces by determining specific uses first. Think about how you want to use the spaces. Determining your needs and assigning the space a specific category for use can lead you to unexpected surprising and successful solutions! Below, the solution started by defining a need for easy access snack storage! Hang things like jewelry, accessories, small tools, hardware where you will see them and use them daily! Finally, Make it Easy + Make it Fun! If you have been able to cultivate the art of seeing like an organizer but have lost your momentum once you begin the process, head over to this post to check out how to maintain the momentum of your organizing project! Do you have examples of how you have transformed a space by re-organizing or design? I’d love you to join us and share them over in our Facebook group! Can I start with a rant about how poor communication affects productivity? The Organizing industry has embraced productivity (for organizers who choose this specialty) and more and more of us are working to help individuals and businesses be more productive. Productivity is a buzz word right now! But as I work on organizing projects I’m always mindful to be as productive as possible. There’s no doubt that communication affects productivity. Here’s an example of a recent stumble. I was working with someone to sort and organize “stationary” and since the client was not with me I interpreted what I thought she meant as all cards/envelopes and letterhead. BUT when the client returned they told me they didn’t consider the cards to be stationary…they were upset that I had taken time to work on this and they thought they had given clear instructions! You just never know which is why you must ask! Poor communication can be the biggest obstacle to productivity! Our thoughts and ideas are buzzing around in our heads and we often don’t know quite how to communicate our vision or expectation to others. This can be a huge stumbling block or in some cases a total road block to accomplish goals and meet deadlines. I have worked on teams that required me to communicate across different language barriers, technology hurdles and time zones, none of that made things easier…but they taught me to simplify and clarify communication! But it’s those times when someone else isn’t available to answer questions that mus-understandings or other communication can break down, like my stationary example. Sometimes our own interpretation of other people’s ideas can cause major challenges. Those challenges can cause general annoyance as well as morale to plummet, which has been proven to lower productivity. So what can we do to prevent this? Ask a lot of questions! When I’m working with others, I do this throughout, in a conversational manner. Sometimes I need to ask questions rapid fire, probably to the point of annoyance for some! Be very direct about what you need to know, list questions out before writing emails, making phone calls or going to a meeting. Really listen to the other person’s response! Are you hearing them or what you want to hear? Beware of how technology impacts our communication. Our voice, tone, language and the words we use can be easily misinterpreted. Interpretation can be an especially dangerous game when sending messages in short formats’ such as text messages. Beware of email etiquette and take responsibility for how people may misinterpret by being short, sweet and to the point in your written communication. Eliminate distractions and interruptions. When you are trying to communicate an idea or important topic, distractions and interruptions can totally derail our train of thought and leave us without important pieces of the “puzzle”. Turn your ringer off, shut your office door and give your direct attention to whatever it is you are needing to communicate. Keep your communication short, simple and clear. Think about the idea you need to communicate from the receiving end and try to troubleshoot any potential pitfalls. Timing, this one is huge! Are you being mindful of when and what the other person might be doing? Are you texting in the middle of the night? Are you expecting an answer right away? Be mindful of both the timing of your communication, your expectation of returned communication (send someone a gentile and kind reminder if you haven’t heard back in 24-48hrs) and are you being mindful of returning other communication in a timely manner or letting them know if you expect to be delayed? Re-evaluate your own poor communication habits, such as interrupting, multitasking, not listening and avoiding direct contact. Good communication habits are about more than just delivering your message. It’s equally important to know how your message was received. It’s not about who is right or wrong and it’s always important to remember to listen (more than you speak). Ultimately poor communication affects productivity but can lead to much bigger problems…it’s a downward spiral. Take a few moments to reflect on how your style of communication might be received by others. Are there are some new tools you can implement that will help you be more productive in the way you communicate for success? Mind maps tools are increasingly popular among companies, business owners, individuals and educators. Using mind maps for a deep dive into a specific topic, project or goal allows you to throw it out “on paper” and get your ideas order. All mind maps have one thing in common. They have a central structure that radiates out organizing ideas by using lines, symbols, photos, and text to support and provide additional information for each big idea or topic. Mind maps can be either paper or computer-based, both follow the same structure, breaking a topic out from a central idea. The wonderful thing about the process of mind mapping is that you can dive deeper into a subject as you radiate out and continue to brainstorm. The mind map process is both intellectual and creative and is such a wonderful tool for individuals and business’ that are more hands on and intuitive in their goal setting and brainstorming process. The key is to find out which method works best for you, your needs and capabilities. 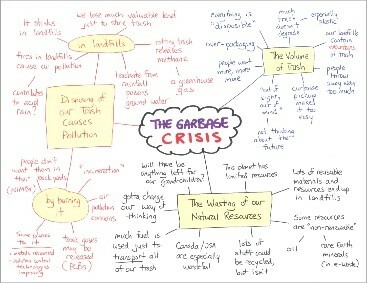 Paper-based mind maps are easy to create – you don’t need a computer, internet access, or computer chargers. All you need is paper and a pen, easy peasy! You can quickly jot down everything that comes out of your mind and map it out exactly how you’d like it. A paper mind map is great for those who need to get all of their ideas out quickly and allow for refining later. It can also be a helpful tool for organizing ideas and actions for teams. Paper mind maps wick and easy to access anywhere, but there are a few downsides to using traditional pen and paper – it could easily get lost, crumpled or get eaten by your dog! You aren’t able to change your ideas with ease unless you use a pencil, and if you are creating a large mind map you’ll need a lot of paper (which isn’t so ecologically friendly) and can take up a lot of space. 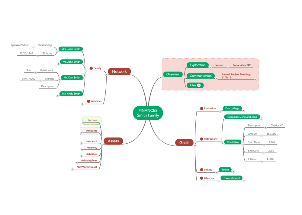 There are dozens of mind map software to choose from, these are just some of the most popular and user-friendly systems that I’ve used myself, with clients or heard good things about. Coggle is a web browser-based mind mapping software that makes creating a mind map simple, easy and fun. T his software offers both a free and paid version and it is an excellent investment if you create a lot of mind maps. It allows you to collaborate easily with a team. You can add text, hyperlinks, and images anywhere on your map with Coggle. The attractive branches can be customized with color, making these mind maps easy to follow. Inspiration Maps offers both computer and web based software that has been newly introduced for iPad and iPhone. Its key features include the ability to create an unlimited number of maps and outlines, a user-friendly interface and the ability to customize, add graphics and photos to any part of your map. You are able to choose from over 100 pre made mind map layouts and hundreds of graphics within the app. With its autosave feature, you can be certain you won’t lose any of your data if the internet goes down and you are able to share it on a variety of platforms. It is very inexpensive for all the features and is worth the purchase! In addition to its catchy name, Mind Meister is another great software for creating mind maps. It is focused more on business and educational use and has a variety of features that support a lot of users at one time. It is available for download and can be accessed on any platform and has intricate sharing capabilities. When making your decision take into consideration the pros and cons of each, the features, cost, ease of interface, accessibility and most importantly that it suits your needs. At the end of the day, mind maps are supposed to be a fun, interactive tool that helps you expel all the information out of your brain. Don’t lose sight of that and have fun mind mapping all your great ideas! Do you already use the mind map process? If so are you using pen and paper or software? What are some of your favorite things to mind map?